A complete Years 1-6 computing pack from our bestselling 100 Lessons series – the simple way to plan your teaching and cut down on preparation time. Inside each book you’ll find two years’ worth of lessons and fully photocopiable activities, plus a CD-ROM packed with interactive activities and planning tools. Use the lessons as a complete plan for the year, or as a flexible filler when there’s a gap in your planning. This pack contains one copy each of all three computing books for Years 1-6. Superb - a complete solution! I was looking for some filler material to aid a re-write of our primary computing curriculum. However, this resource is so good I adopted it as the basis for our computing scheme of work for years 1-6, making minor adaptions to work with Chromebooks and a 1.5 form entry. It is far more interesting and accessible for staff and children than the school’s existing scheme, which is one of the most well known and cost almost 10x more. This is an excellent resource and is a complete scheme of work. 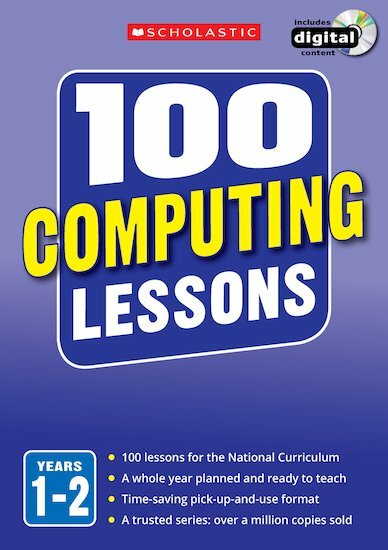 As a specialist computing teacher teaching for over 20 years, I fully recommend it!